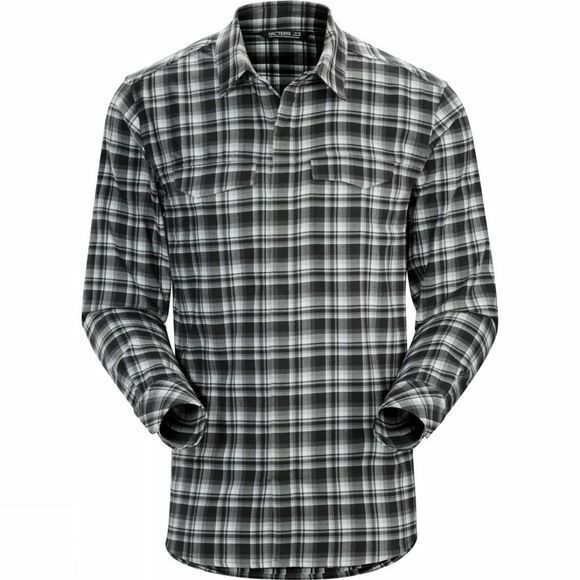 The soft brushed flannel of the Men's Gryson Long Sleeve Shirt from Arc'teryx provides casual warmth and is excellent to wear around town for everyday life and adventures. It has durable, soft cozy flannel with articulated patterning and provides mobility as well as a comfortable fit. The center placket closes with hidden snaps, whilst two chest pockets secured with snaps and an embroidered logo add the finishing touches.